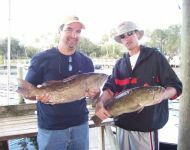 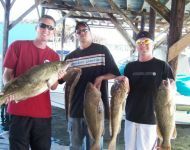 4 Beauties Some Crystal River Grouper. 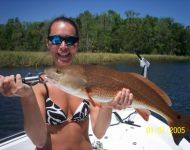 Becky with a Red My wife Becky and a nice Red Fish. 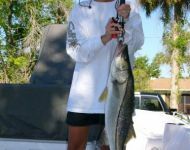 Becky's Snook Crystal River Snook. 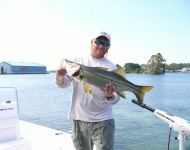 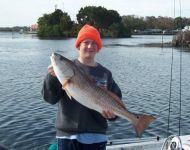 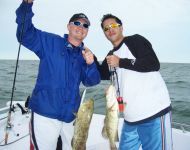 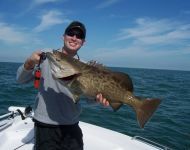 Captain Dan A nice Snook caught in Kings Bay. 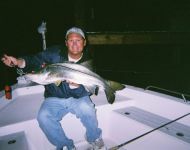 Captain Dan and Snook Night time on the Crystal River.